We are a small family owned kennel, located in the quiet country foothills of Ontario, Canada east of Toronto, Ontario. Pieridae Papillons and Maltese is dedicated in producing healthy home-raised puppies with wonderful personality and temperaments and we believe in raising dogs for QUALITY not QUANTITY! 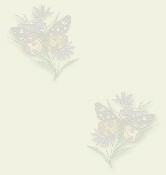 Our name "Pieridae" is a type of butterfly, the white/sulphur variety. Papillon is French for "butterfly". Founded in 1991 - we purchased our first Maltese. - then in 1996 - we obtained our first Papillon. We began showing Papillon's in 1998 and have been hooked ever since. Our home-raised puppies speak for themselves as we have obtained numerous Championship Titles on puppies of our own breedings which included many BOB wins as well as Group wins and BPIG and we now have a new "International Champion". We attend several seminars each year to continue our knowledge and dedication to learning about our choosen Breeds. This keeps us up to date on the latest care, feeding, showing information and continue to improve on our dogs by attending seminars on structure, movement, nutrition, health, genetics and breeding. All our dogs are also checked and cleared for PRA and Patella Luxation. I hope you enjoy our pages and our furkids. Feel free to email with any questions you may have. NOTE: I HAVE NOTICED THAT I DO NOT ALWAYS RECEIVE MY EMAILS FROM MY SERVER - I ALWAYS REPLY TO EACH AND EVERY EMAIL I DO RECEIVE. IF YOU EMAIL ME AND YOU DO NOT HEAR BACK PLEASE CALL ME.